ChiIL Live Shows: “Flamenco Passion” Concerts return to the North Shore Center for the Performing Arts June 17-19. “Flamenco Passion” Concerts return to the North Shore Center for the Performing Arts June 17-19. Ensemble Español’s popular “Flamenco Passion” concerts return to the North Shore Center for the Performing Arts, 9501 Skokie Blvd, June 17-19. These performances are part of the company’s 2016 American Spanish Dance and Music Festival, June 8-25. This annual event, now in its 40th year, features performances, classes, seminars and lectures, showcasing the elegance and passion of Spain’s dance, music and culture. Friday, June 17 at 7:30 p.m., Saturday June 18 at 7:30 p.m. and Sunday, June 19 at 3 p.m. Tickets are $46-$26. Free parking is available. 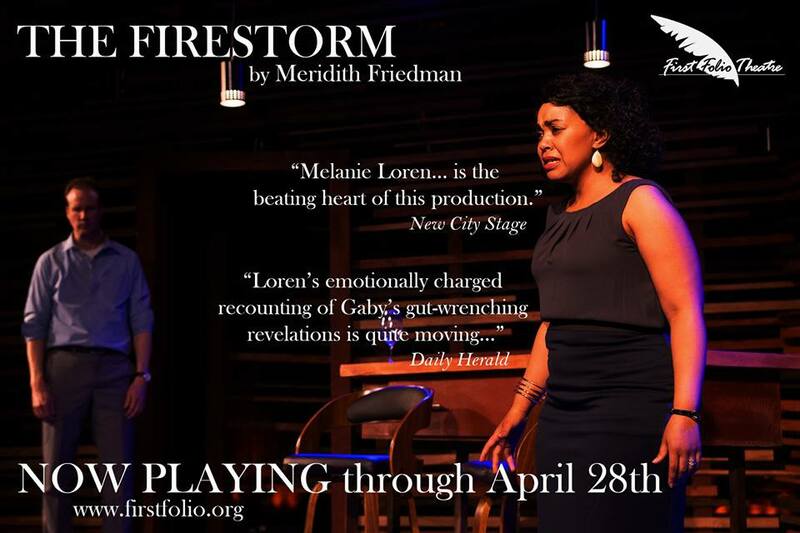 For tickets, call 847.673.6300 or visit northshorecenter.org/EE40. This year’s “Flamenco Passion” performances feature more than 40 dancers, musicians and guest artists in an array of classical, traditional, contemporary and Flamenco styles. The world premiere of the highly anticipated "Iroko," choreographed by world-renowned dancers and choreographers Angel Rojas and Carlos Rodriguez, is a centerpiece of the festival. Named for an African tree, Iroko is the perfect title for this work, as it celebrates the roots and branches of Spanish dance and its relationship to the continents of Europe, Africa and the Americas. This new Flamenco contemporary ballet is composed to original music by Juan Parilla. This program is supported by The Chicago Community Trust and the MacArthur Foundation International Connections Fund. The performances also feature the world premiere of "Memorias del Corazon (Memories of the Heart)" choreographed by guest artist Paloma Gomez, and popular works from the Ensemble Español’s repertoire, including Gomez’s “La Boda de Luis Alonso” (2012), Ensemble Español Artistic Director Irma Suarez Ruiz’s “El Baile de Luis Alonso” (2010), Juan Mata and Ana Gonzalez’s “Alegrias y Jaleos” (2006), and Ensemble Español Founder Dame Libby Komaiko’s masterpiece, “Bolero” (1993). 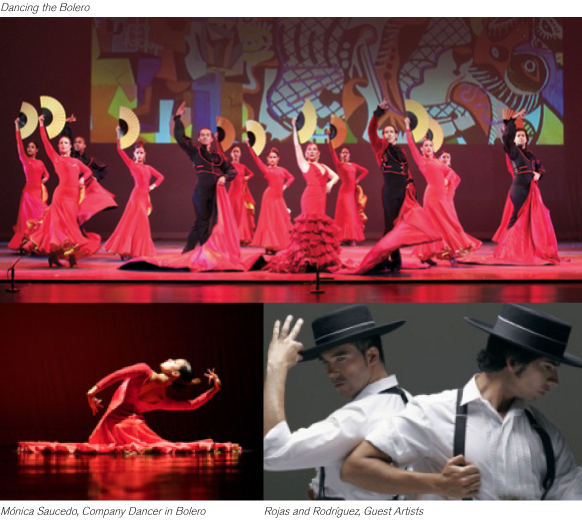 The work of José Barrios (Cordoba), principal dancer of the Maria Pages Company; Carmela Greco (Madrid), daughter of the legendary José Greco; Flamenco guitarist Antonio Gabarri Jiménez (Madrid); Flamenco singer and guitarist Paco Fonta (Miami); Flamenco guitarist David Chiriboga (Ecuador); Flamenco singer, Manuel Palacin (Madrid) and Venezuelan-born percussionist, Javier Saume Mazzei is also reflected in the performances. “La Boda de Luis Alonso (The Wedding of Luis Alonso)” (2012), choreographed by Paloma Gómez. This work, performed by the Ensemble Español’s company dancers, was choreographed to the first of a trio of compositions inspired by a text written by Javier de Burgos. “Duende Gitana (Gypsy Soul)” (2010), choreographed by Irma Suarez Ruiz to music by Geronimo Gimenez. “El Baile de Luis Alonso (The Dance of Luis Alonso)” (2010) choreographed by Ensemble Español Artistic Director Irma Suarez Ruiz. This work, set to the third of a trio of compositions inspired by a written text by Javier de Burgos, is performed by the Ensemble Español company dancers. “Ausencia, Gris, Faruca (Absence, Grey, Farruca)” (U.S. Premiere), choreographed and performed by guest artist Angel Rojas. This work premiered in 2012 at the Flamenco festival of Tampere in Finland. “Basque” (1984), choreographed by Juanjo Linares, and performed by Ensemble Ensemble Español company dancers and members of the Youth Company. “Iroko” (World Premiere), choreographed by Angel Rojas and Carlos Rodriguez, original music by Juan Parilla. Rojas and Rodriguez join the Ensemble Español company dancers for this Flamenco contemporary ballet, commissioned to honor Ensemble Español’s 40th Anniversary year. “Iroko” is supported by The Chicago Community Trust, the John T. and Catherine D. MacArthur Foundation’s prestigious International Connections Fund and Northeastern Illinois University. "Alegrias y Jaleos,"(2006), choreographed by Juan Mata and Ana Gonzalez, former first dancers and founding members of the National Ballet of Spain for the Company for Ensemble Español's 30th Anniversary. This work reflects the joy and happiness of Flamenco’s important and popular song forms from the southwestern sea coast province of Cadiz Alegrias and incorporates one of the oldest gypsy dances. It is dedicated to legendary master teacher, choreographer dancer and Director of Centro Andaluz de Danza, José Granero (1936-2006). “Errante (Wandering)” (2015) (U.S. Premiere), choreographed and performed by guest artist Carlos Rodriguez. “Algazara”( 2013), choreographed by José Barrios, principal dancer of the Maria Pages Company. Guest dancers, musicians and the Ensemble Español’s Company and Youth Company dancers are featured in this festive work that begins with the dramatic sounds of the cajon (percussive instrument) and incorporates the Buleria Flamenco style featuring a twelve count rhythm. “Cinco Tiempos Para Amar (Five Times to Love)” (2010) choreographed and performed by Carmela Greco, daughter of the legendary José Greco, to music by guest Flamenco guitarist, Antonio Gabarri Jimenez. 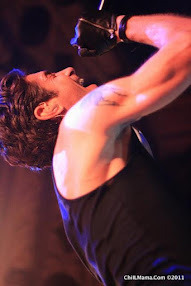 This Flamenco solo is set to the music and lyrics of the Martinete & Siguiriya, in the Cante Jondo (deep song) style, the saddest and most dramatic songs of Flamenco, with musical arrangement and composition by Jimenez. “Bolero” (1993) choreographed by Ensemble Español Founder Dame Libby Komaiko performed to music by Maurice Ravel (1875-1937). Since its creation, Komaiko’s “Bolero” has been seen by more than one million people on stages around the country and internationally and featured in two documentaries. The “Flamenco Passion” 2016 performances of “Bolero” are made possible in part by the Cherry Family Foundation. Under the artistic and executive leadership of Founder and Artistic Director, Dame Libby Komaiko, Artistic Director, Irma Suárez Ruiz and Executive Director, Jorge Perez, Ensemble Español is internationally recognized as the premier Center for Spanish Dance, Music and Culture in America. Its 40 sensational dancers, singers, instrumentalists with international guest artists, promotes Spanish dance culture in all its forms – from Flamenco to traditional folkloric to classical renaissance to the 21st century. In 1982, Dame Libby became the first American artist in history to be decorated with Spain's highest honor "Lazo de Dama" (Ribbon of the Dame) by his Majesty Don Juan Carlos I, King of Spain for her artistic, cultural and educational work throughout the United States. In 2011, United States President, Barack Obama, congratulated the Ensemble Español for their work in presenting this art form to the many communities served locally, nationally and internationally. 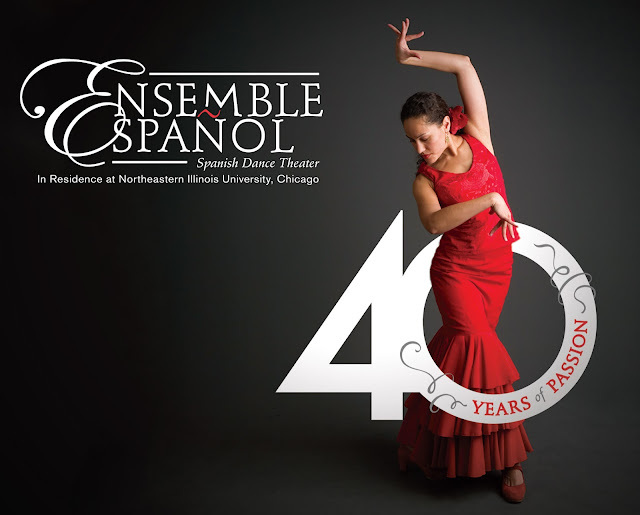 The Ensemble Español has been in residence at Northeastern Illinois University since 1976. Throughout the company’s 40 year history, Ensemble Español has changed lives through their education and outreach efforts. To date it has has awarded more than 2,600 scholarships, trained more than 160 youth dancers and 90 youth apprentices to become professionals in the arts world, and this August, will conduct its inaugural artistic/cultural educational tour to Spain. For more information about Ensemble Español Spanish Dance Theater and Center visit ensembleespanol.org. The elegance and passion of Spain’s dance, music and culture is showcased in the 40th American Spanish Dance & Music Festival, Wednesday, June 8 through Sunday, June 25. The Chicago Sun-Times hails this 12-day celebration of Spanish culture as “a date worth keeping every summer.” For Festival updates visit ensembleespanol.org. 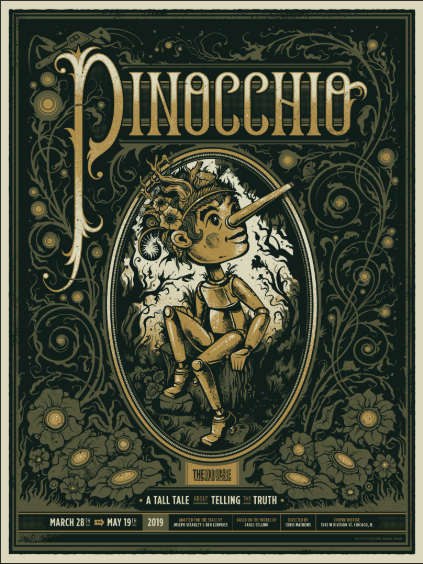 Wednesday, June 8, 8 p.m.
Tuesday, June 14, 12:15 p. m.
Friday, June 17 and Saturday, June 18 at 7:30 p.m.; Saturday, June 19 at 3 p.m.
North Shore Center for the Performing Arts in Skokie, 9501 Skokie, Blvd., Skokie, Ill.
Northeastern Illinois University Dance Studios, Building J. 5500 N. St. Louis Dr., Chicago. Artists and events subject to change. Festival Sponsors: Northeastern Illinois University, Wintrust Banks, Chicago Department of Cultural Affairs, Illinois Arts Council, Caerus Foundation Inc., The Driehaus Foundation, MacArthur Foundation, N.I.B. Foundation, Holiday Inn Chicago North Shore, Cherry Family Foundation, Southwest Airlines, José Greco Foundation, Splash Magazine/Chicago Sun-Times and Negocios Now. Media Sponsors: Univision Chicago, Arte y Vida Chicago, Telemundo Chicago, Comcast, La Raza, Spanish Public Radio, Arte y Vida, Hispanic Pro, Negocios Now. Festival Collaborators: Instituto Cervantes, Chicago Tourist Office of Spain, Old Town School of Folk Music, North Shore Center for the Performing Arts, International Latino Cultural Center, Chicago Dance Supply, Studio Mangiameli, Flamenco Arts Center, Clinard Dance Theater, Flamenco Chicago LLC.